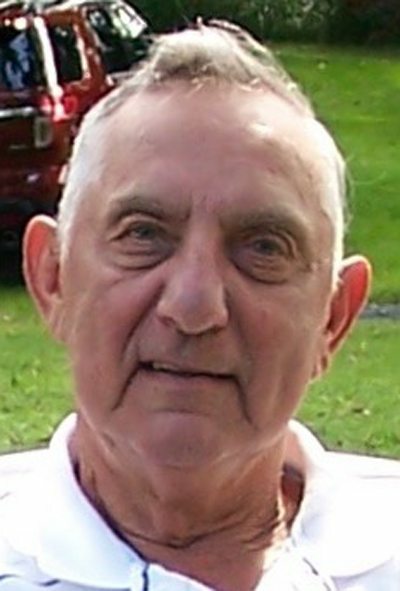 Larry L. Loss, 81, of Beavertown, passed away on Tuesday evening, March 6, 2018, at the Geisinger Medical Center, Danville. He was born Dec. 21, 1936, in Center Township, Snyder County, a son of the late Alfred J. and Rhetta P. (Oldt) Loss. On Dec. 24, 1987, he married Shirley M. Bickhart who preceded him in death on Sept. 22, 2017. Larry was a 1956 graduate of Middleburg High School and served in the Army National Guard from 1959 to 1965. He was employed for 37 years at Wood Mode, Kreamer. After his retirement, he served as a courier for Swineford National Bank for 10 years. Larry umpired PIAA and ASA softfball for 48 years and was umpire in chief for 37 years. He umpired at state and national tournaments for men, women, and youth slow pitch softball. He was inducted in the ASA Hall of Fame in 1999 and was a member of the National Indicator Club for ASA Umpires. He was one of four men that organized the construction of the Shade Mountain Softball Field which was built in 1972. Larry was a faithful blood donor, donating 18 gallons of blood during his lifetime. He was a fan of the Pirates, Steelers, and Penn State. He enjoyed hunting with the Zechman Gang, butchering, public sales, and family gatherings. Last year, he never missed a game for his great-grandson’s Little League games. He is survived by three daughters and sons-in-law, Cheryl and Scott Brouse and Carol and Steve Kenepp, all of Middleburg, and Crystal and Roger Adams of Duncannon; four grandchildren, Stephanie and husband Jim Underhill, Erin and husband Nate Bingaman, and Matthew and Jonathan Adams; two great-grandsons, Grant and Brooks Bingaman; sister and brother-in-law, Florence and Lee Witmer of Penns Creek; and sister-in-law, Darla Loss of Middleburg; stepson, Tom Thoman and companion Carol, of Beavertown; and the mother of his children, Royetta Jean Loss of Middleburg. He was preceded in death by one brother, Gary L. Loss. Friends and family will be received from 6 to 8 p.m. Saturday, March 10 at the Hummel Funeral Home, 574 Hill St., Middleburg, followed by the funeral at 3 p.m. Sunday, March 11 with Pastor Tim Reich officiating. Burial with military honors will be in Cedar Hill Cemetery, Beavertown. The family would like to give special thanks to Larry’s caregivers, Deb Shambach, Diann Vadela, and Peggy Henry for the loving care they gave him and putting a smile on his face each day. Contributions to honor Larry’s memory may be made to the Kreamer Youth League, c/o Kyle Maust, 256 E. Hollow Road, Middleburg, PA 17842.